Django provides a built-in admin module which can be used to perform CRUD operations on the models. It reads metadata from the model to provide a quick interface where the user can manage the content of the application. This is a built-in module and designed to perform admin related tasks to the user. 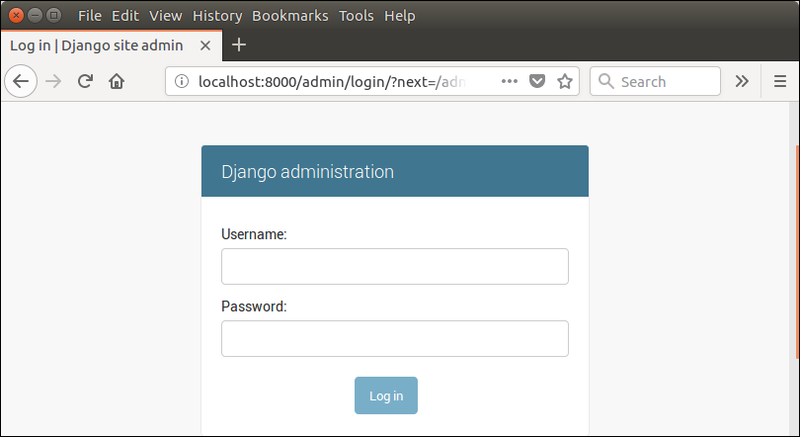 Let's see how to activate and use Django's admin module (interface). 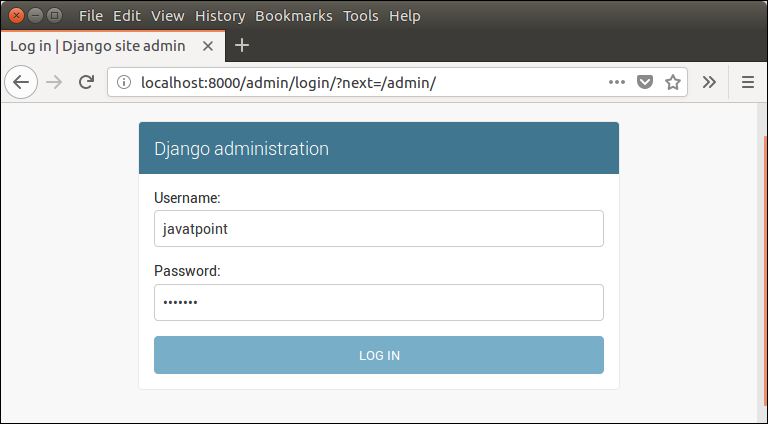 The admin app (django.contrib.admin) is enabled by default and already added into INSTALLED_APPS section of the settings file. It prompts for login credentials if no password is created yet, use the following command to create a user. Now start development server and access admin login. Provide created username and password and login. After login successfully, it shows the following interface. 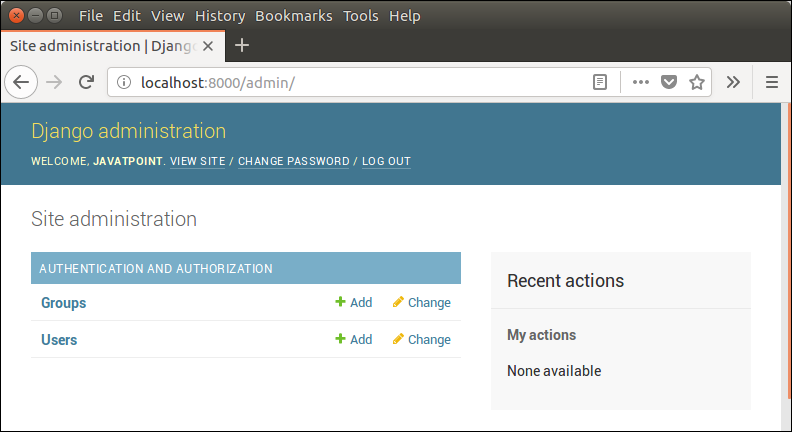 It is a Django Admin Dashboard. Here, we can add and update the registered models. The model registration process will be discussed in further chapters.